Something a bit different! 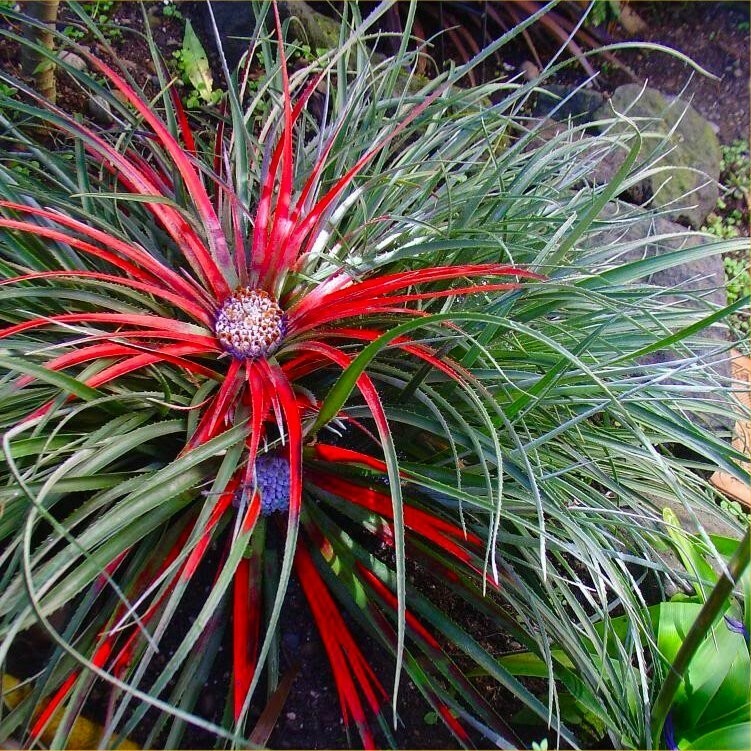 This native of Chile forms a dense clump of spiky grey-greenish evergreen leaves and is related to the Pineapple! The central leaves are a rich crimson rosette and tubular sky-blue flowers appear from the centre. A spectacular plant which prefers a warm well drained position, this will look fabulous in a rockery, patio planter, or indoors for the conservatory. Supplied in approx 2 litre containers.